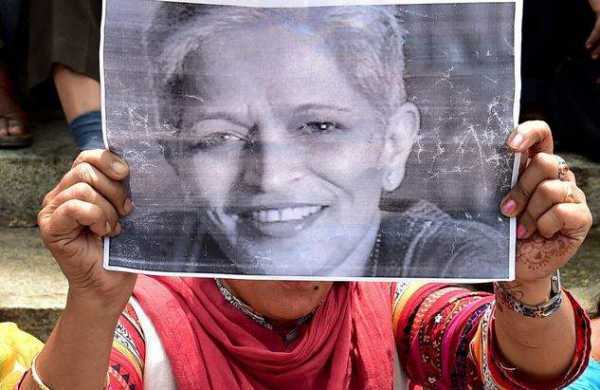 The targeted assassination of the fearless, committed and bold female journalist Gauri Lankesh in southern India this week is yet another grim reminder of the shrinking space for free speech in this part of the world. The 55-year-old Gauri was shot dead by unknown attackers in front of her home in the southern city of Bangalore on Tuesday. She was editor and publisher of a Kannada-language weekly tabloid. In her professional work, Gauri was unabated in her stanch criticism of the growing religious extremism in India following the rise to power of the Hindu nationalist Bharatiya Janata Party (BJP) since May 2014. The civil society activists in India believe Gauri has been silenced by the fanatic forces that are gaining ground across India with each passing day. The pattern of such recent events back such claims. Narendra Dabholkar, another outspoken critics of right-wing Hindu nationalists, was shot to death near his home in Pune in 2013. In August 2015, Malleshappa Madivalappa Kalburgi, a former vice chancellor of Kannada University who spent decades debunking peddlers of superstition, was fatally shot in his home in Dharwad. In this so-called biggest democracy of the world, at least 27 Indian journalists have been killed since 1992 “in direct retaliation for their work,” according to the Committee to Protect Journalists. Only one of the killers has been convicted. Such subsequent instances of fanaticism and mob-justice are clearly undermining the democratic values India has long been claiming to champion. The minority Muslims and even Hindu critics of the hardliners are increasingly feeling threatened in the ‘BJP’s India’. According to an IndiaSpend content analysis, Muslims have been the target of 51% of violence centered on bovine issues over nearly eight years, and comprised 86% of 28 Indians killed in 63 incidents. These issues are mostly related to cow which is considered ultra-sacred by the hardliners that have killed a number of Muslims for buying, selling or consuming its meat. As many of 97% of these attacks were reported after Prime Minister Narendra Modi’s government came to power. The vigilant Indian civil society has to make it clear to the extremist forces that they would not accept this mob justice in the country of Gandhi, the global icon of non-violence and tolerance.